Icecream Screen Recorder - download in one click. Virus free. Download the latest version of Icecream Screen Recorder with just one click, without registration. It comes with a safe official offline installer for Icecream Screen Recorder. 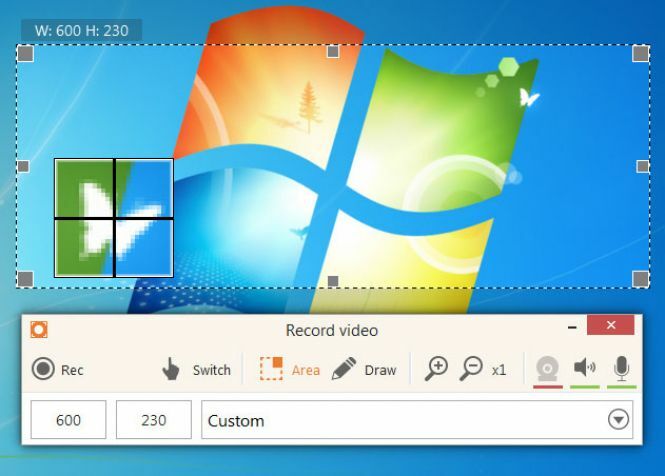 Icecream Screen Recorder for Windows 10 is a simple, neat, nice-looking and easy to use screen recorder that's good for people who don't want anything uber-advanced, but still wish to have a comfortable experience taking screenshots and capturing videos. Using the recorder is very easy. You set it up, and by a hotkey or a tray icon, a screenshot is taken or a recording is started. You can select the format you wish to have the picture or video in, the part of the screen you need to capture, from just a fraction to the full screen. There's an option to record the audio as well, but if you only need video, it can easily be disabled. There are very flexible quality settings. Along with the format, you can select the file size and required clarity of the images and videos. Additional tools let you add graphics, text messages, drawings, and annotations to images and videos taken. Especially usefukl is the feature that allows users to instantly upload their screenshots online to share them via generated URLs. 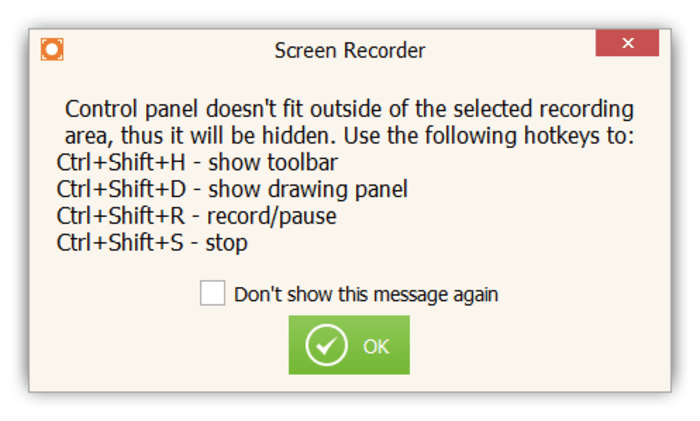 Icecream Screen Recorder is quick, comfortable and personal. Even hotkeys used to activate it can be customized to suit your preferences. It's the kind of application every user should be happy with. Only one video output format available.